Anyway, back to fragments. If you're not all that familiar with implementing fragments, Packt Publishing has the book for you, and we happened to have 10 to give away. Convenient, right? 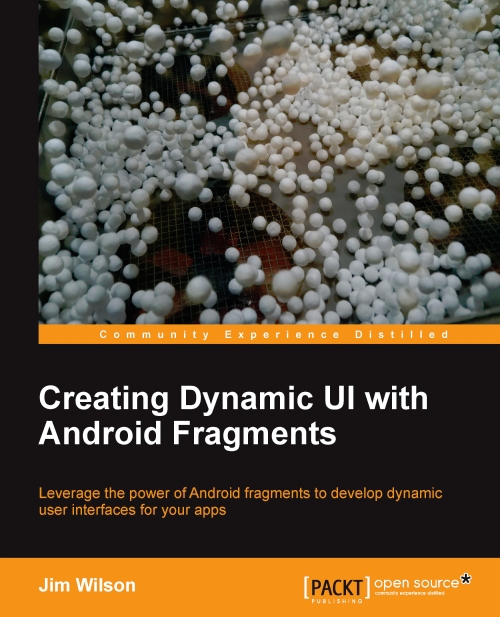 It's called Creating Dynamic UI with Android Fragments and aims to help you not only figure out what fragments are used for, but also how to create a dynamically scaling UI across a variety of display sizes, explore the fragment-oriented features of Android studio, learn appropriate application design for communicating between fragments, and a lot more. Really, I'm no developer, so I'm probably not doing justice to everything this book entails, so you should probably head here to check it out in detail if you're interested. Actually, you should check that out if you plan on entering this contest at all. Speaking of the contest, you probably want to know how to enter. No problem – it's simple. Follow the directions in the widget below, and make sure to mark the item as complete when finished. Otherwise, we won't know you entered and you'll have no chance of winning. US, Canadian, and European residents will have the choice between a print copy or e-book; everyone else will have to settle for the e-book. That's pretty much it. The giveaway begins now and will run for one week, ending on November 25th at 12:00 AM PT (Midnight). After that, the winners will be chosen at random. Good luck!